With this project we collected plastic milk bottles which would have otherwise ended up in the trash and eventually on a landfill site. Some brands of milk use bottles that have very sticky labels that are hard to remove, and others have bottles that have ridges up the sides. Look for the milk bottles have labels that are very easy to remove and a large flat central section in the bottle, which is what we primarily use in our recycling crafts. Use your craft knife to cut the recycled milk bottles: You will need to cut each milk bottle twice, going right around the bottle. 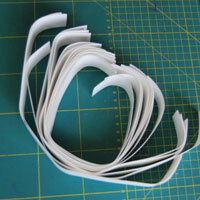 Once you have cut out a whole bunch of central strips from your milk bottles, cut these once across the width in a straight line so that you have thick strips of recycled plastic, instead of ovals. 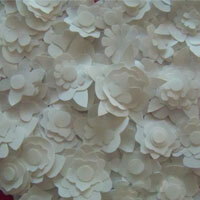 Find a selection of flower and petal designs. 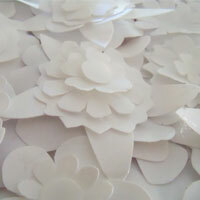 Find a few different designs with various petal structures and cut a few sizes of each using a scissors. You can copy flower designs from a kids' colouring-in book, or you could even draw your own basic designs. Trace these designs onto your milk bottle strips. 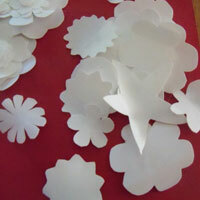 You will need a lot of cut-out flower shapes - we are going to stack these on top of each other to create a 3D flower, so aim for about 5 flower cut-outs per 3D flower for the recycled milk bottle flower heart. Once you have cut out a whole bunch of flower designs from your milk bottles, mix and match them, one on top of the other to create a raised, 3D flower. 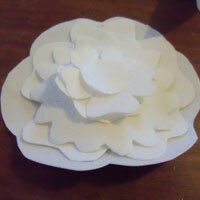 Use a hot glue gun to assemple each flower. Repeat the process until you have many raised flowers. Paint the wooden board using your red paint PVA and paintbrush, and then leave to dry.  Once the board is dry, use a pencil to very lightly draw the outline of the heart. Place your flowers around the edge of the pencilled heart. 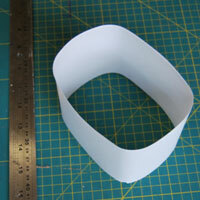 Using a glue gun, glue them into place, making sure that none of the pencil outline is visible. Once you have completed the outer edge of your heart, you can then fill in the inside of the heart using your pre-made flowers and the glue gun. Try to cover all the red on the inside of the heart so that the entire heart is a striking white. 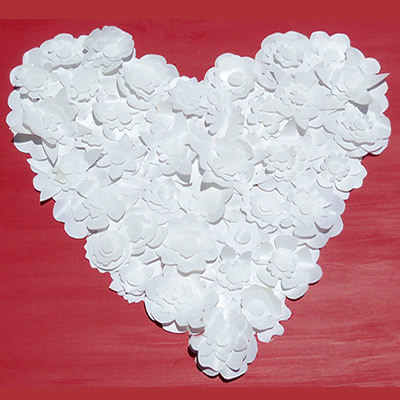 Once the entire heart design is complete, the recycled flower heart is complete and ready to make a statement at your wedding. As another idea, why not make this as a wedding gift for a friend - the upcycled heart would make a stunning addition to any home!